I love it when you can capture a fleeting moment that stays in your memory for years to come. For this challenge I am featuring two photos that have stayed with me since taking them several years ago. The first is from a trip to Playa del Carmen in the Yucatan Peninsula in Quintana Roo, Mexico. 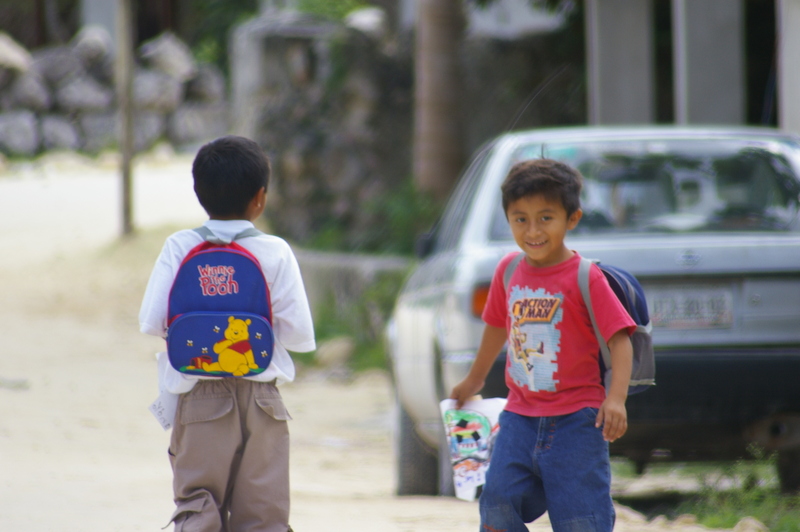 Two young boys heading home after a day at school. One of the boys realized that he might be getting his photo taken and he glanced back with a smirk. The second photo is from a trip to Southeast Asia. 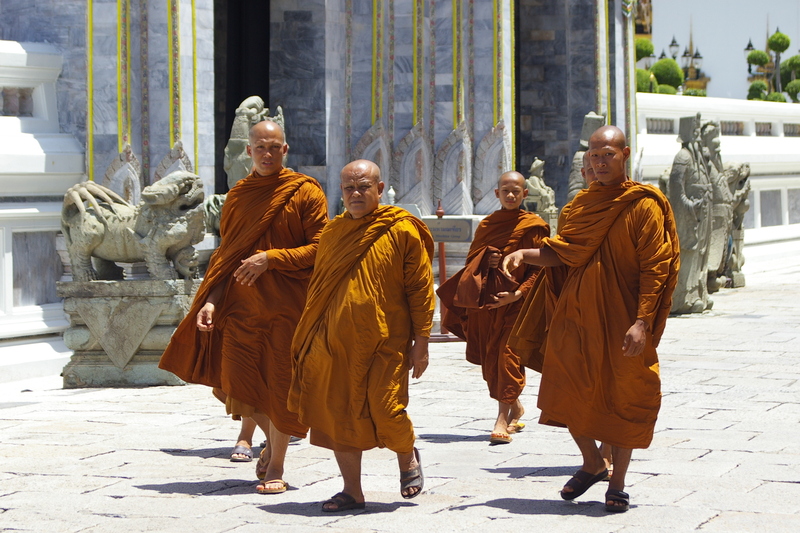 While touring The Grand Palace in Bangkok, Thailand we ran into these monks on their way to attend services for what turned out to be a holy day in Thailand. I love the contrast of colors – especially the saffron robes.